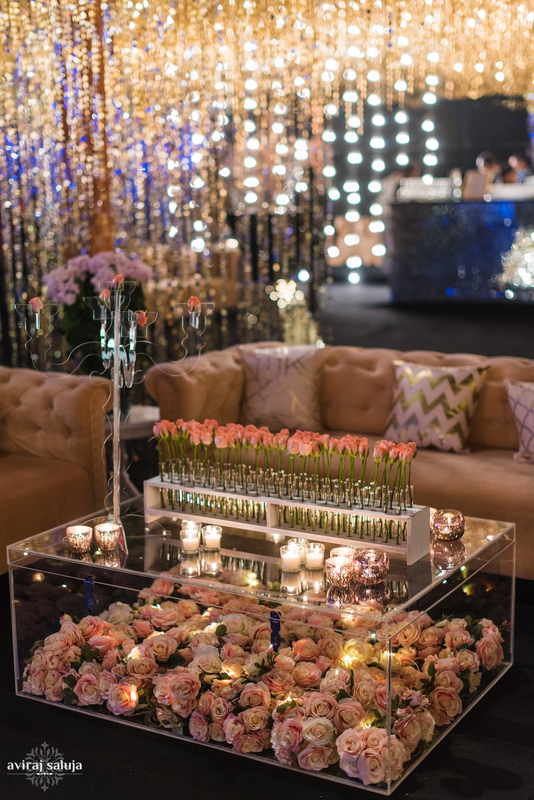 The Glamorous Cocktail Decor At The Hazoorilal Wedding. 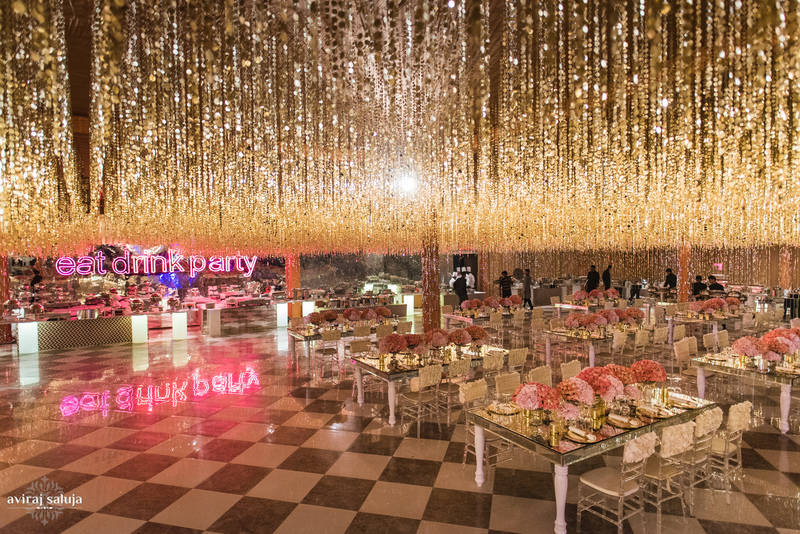 » » The Urban Guide » Weddings » Wedding Decor » The Glamorous Cocktail Decor At The Hazoorilal Wedding Has *SO Many* Ideas to Steal! 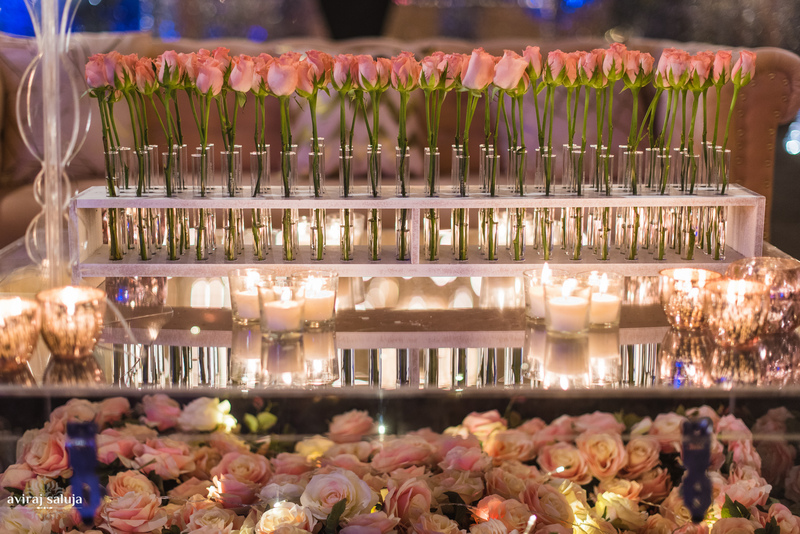 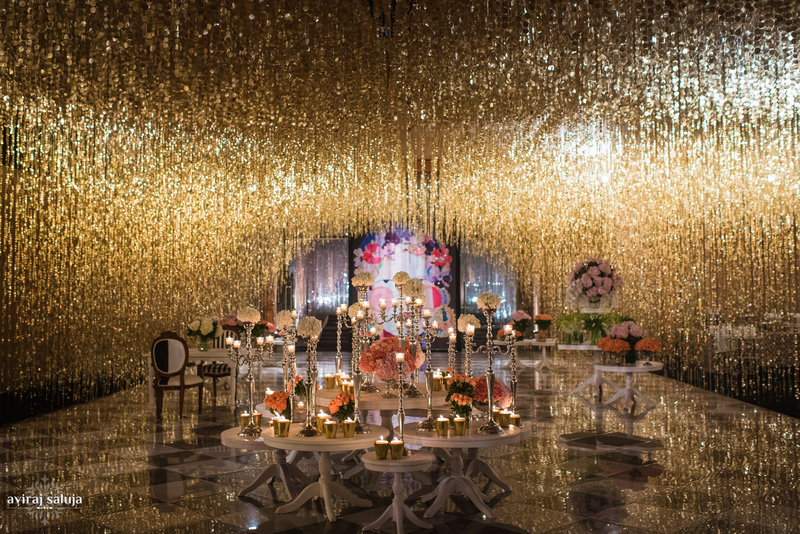 You’ve never seen wedding decor done like this before. 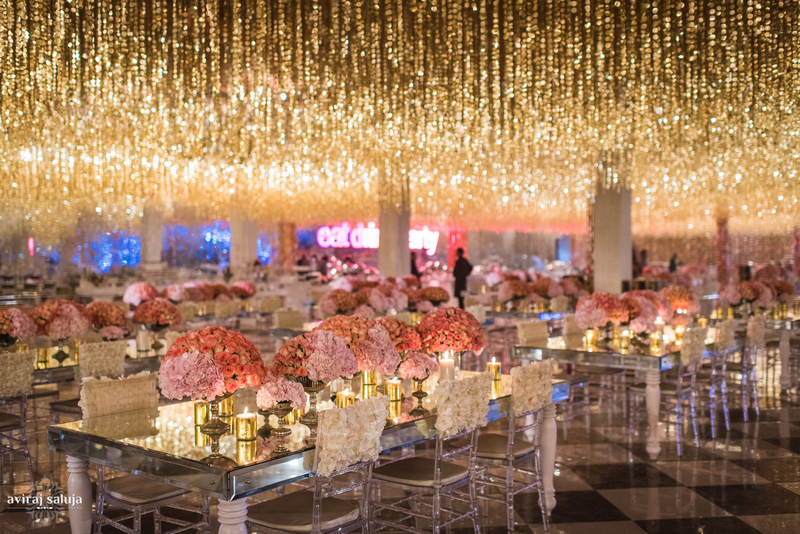 When we saw the first set of photos from this cocktail evening, our jaws literally dropped. 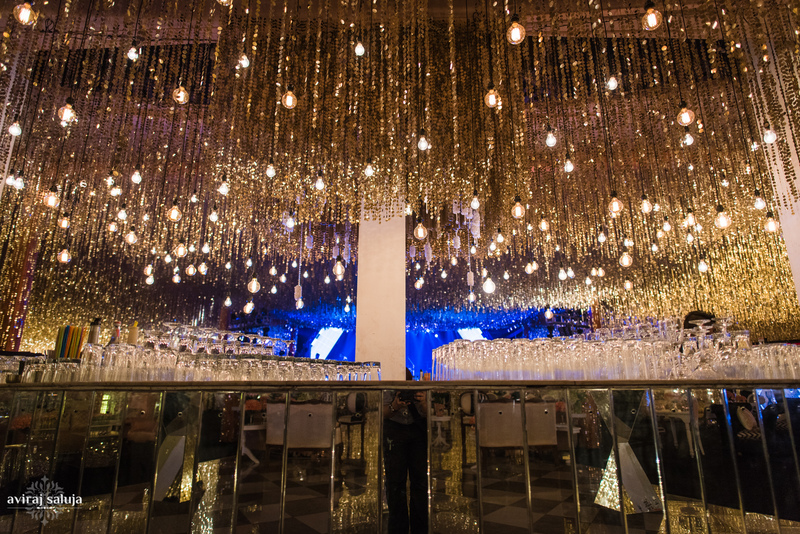 It’s larger than life, super unique and uber glam! 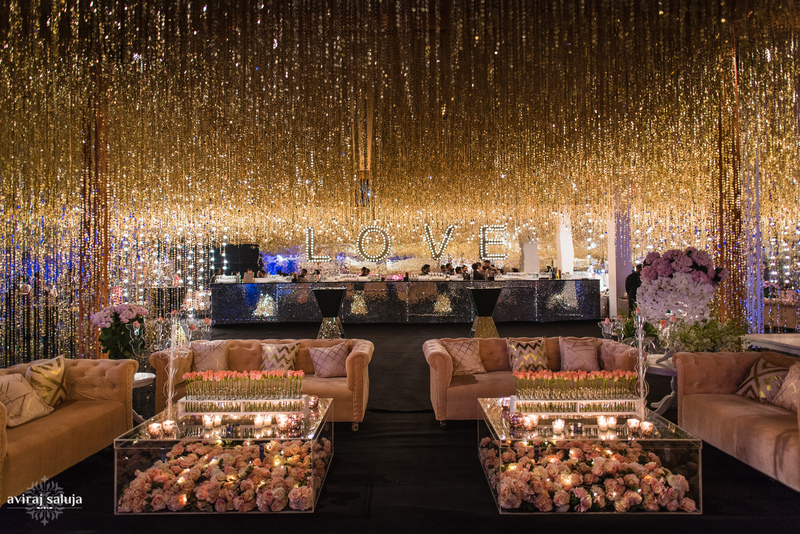 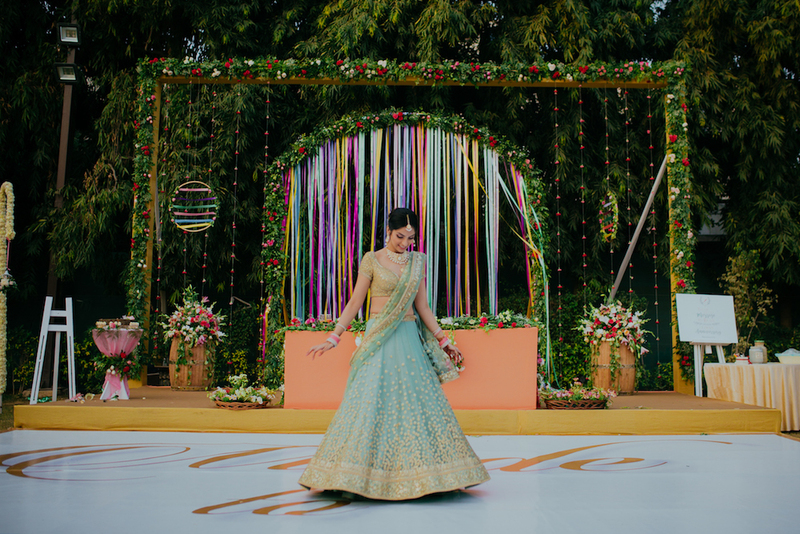 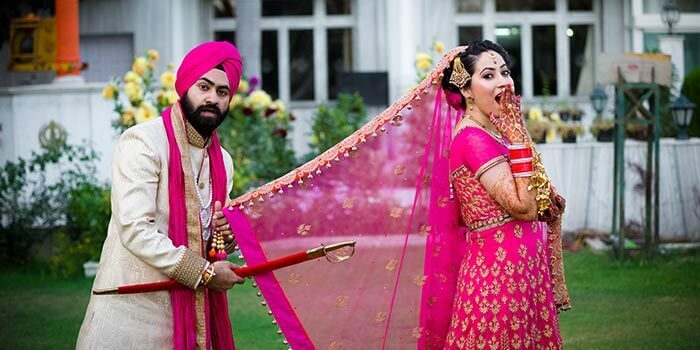 Done by Rani Pink Love for Sonal Narang, the proud daughter of Hazoorilal Legacy Jewellers, this Cocktail and Sangeet function at the Ritz in Gurgaon will give you some serious #WeddingGoals. 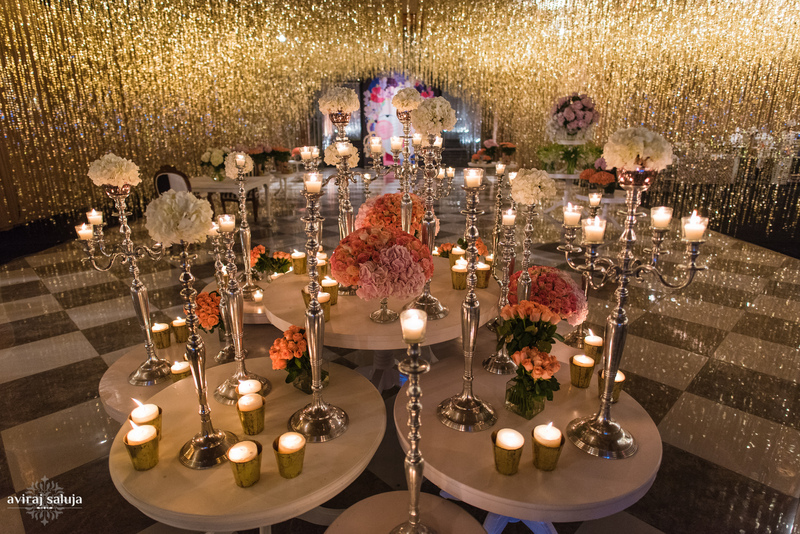 Scroll to see how pastels and metallics come together to create a visual treat! 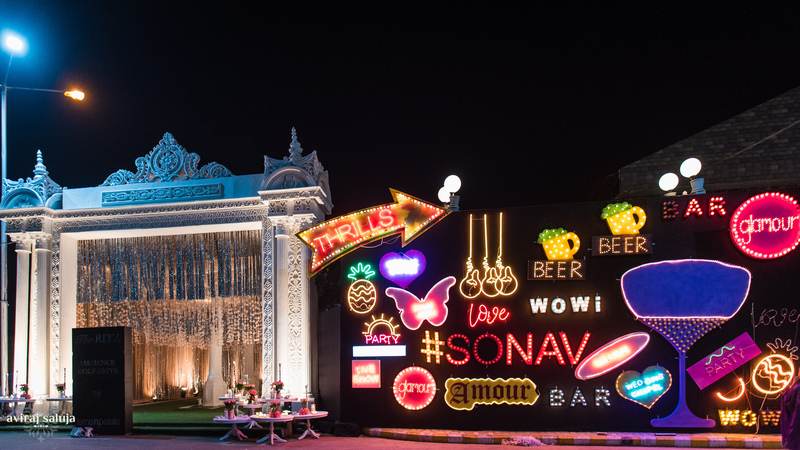 And don’t miss the unique bar decor! 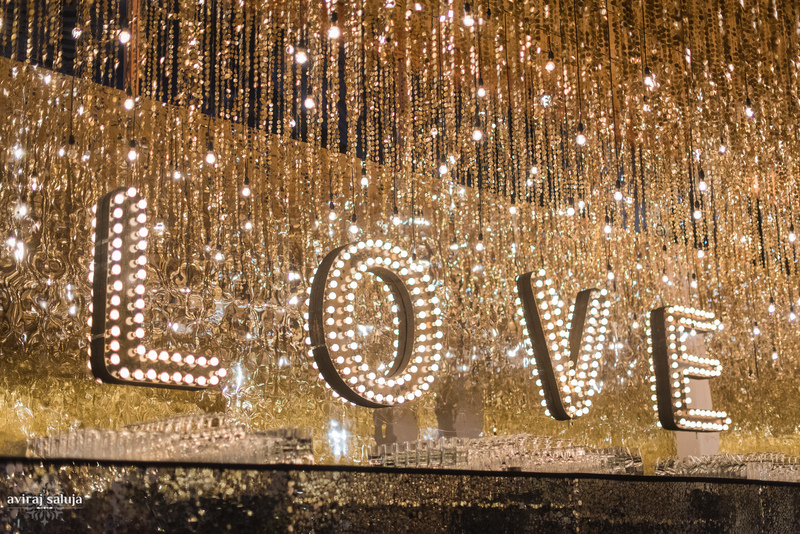 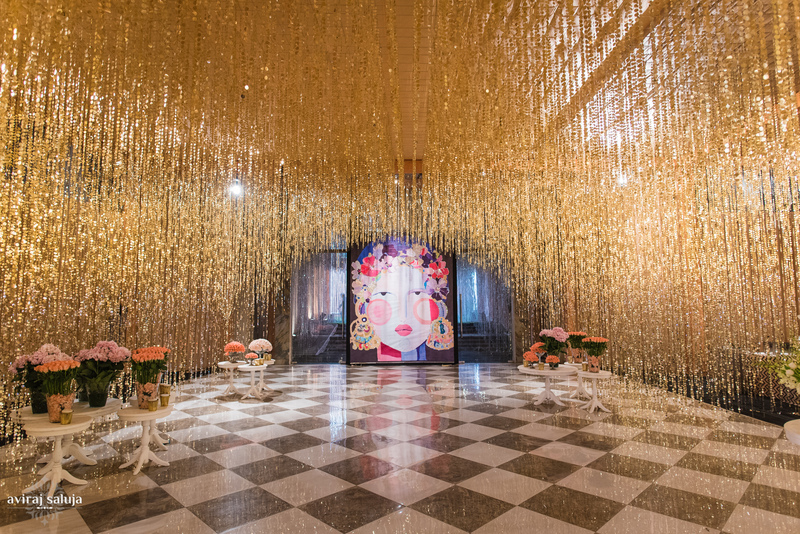 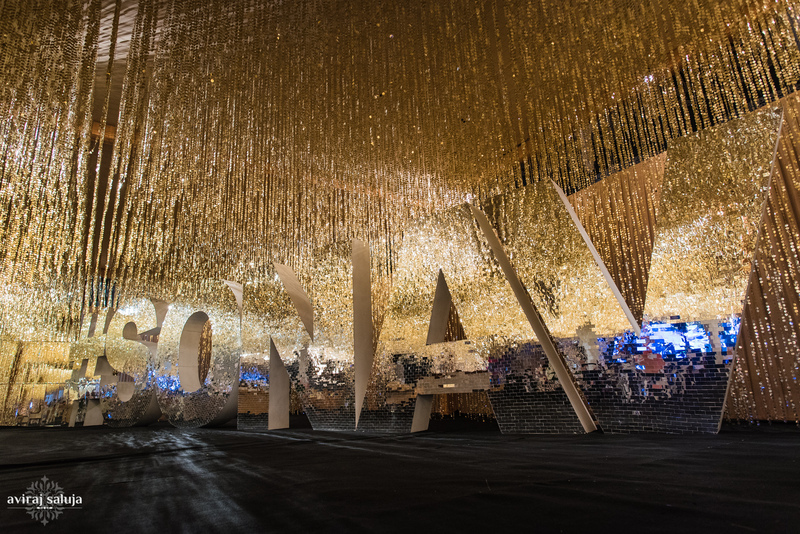 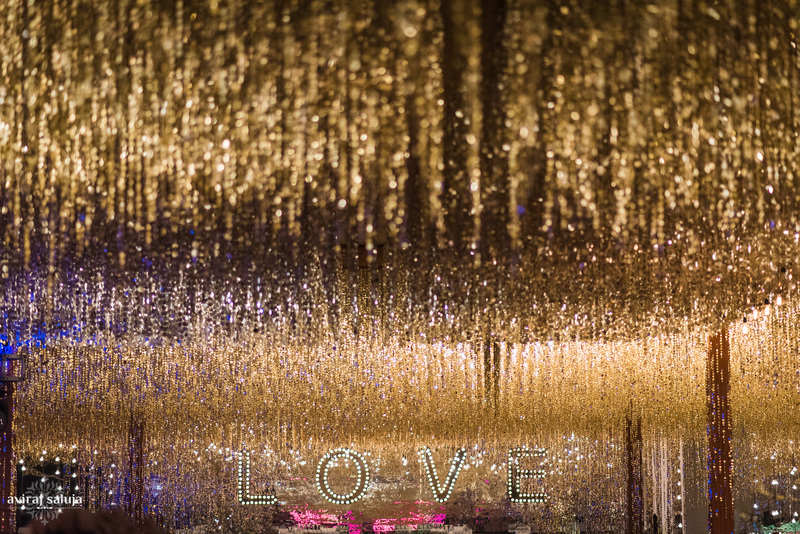 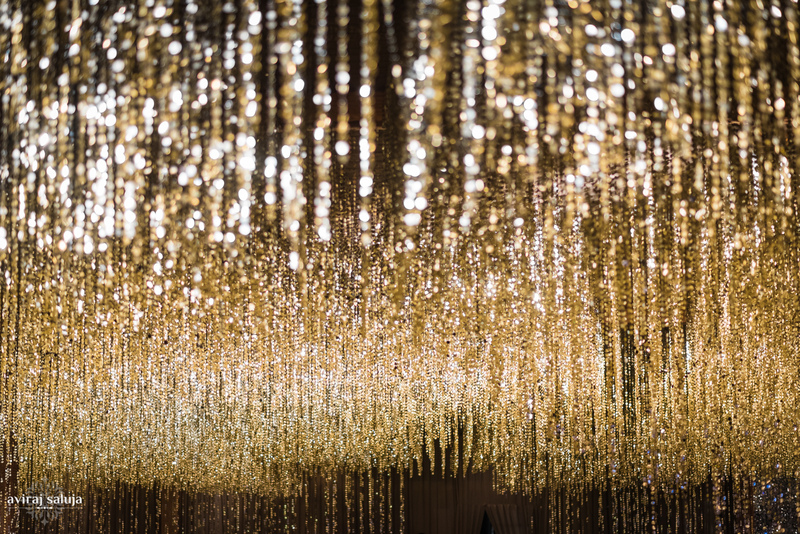 The wedding hashtag was made into an oversized installation in mirror mosaic – it was 60 feet long! 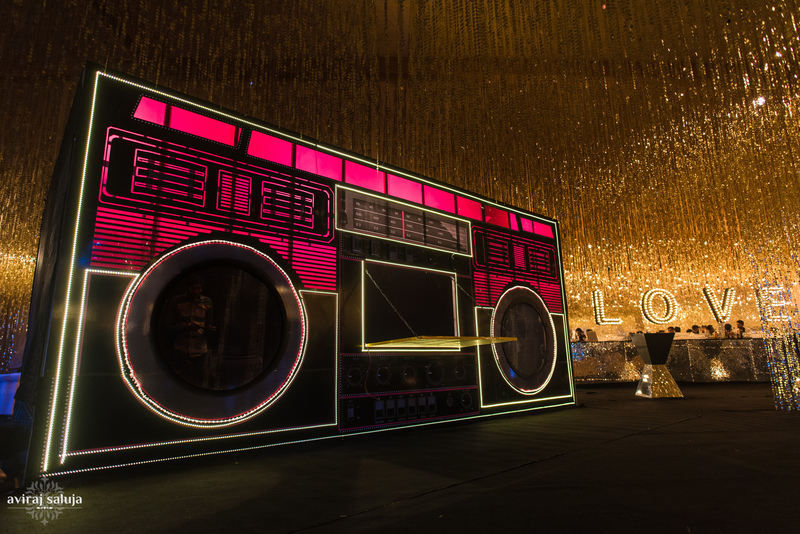 The shots & cocktail bar was THIS BOOMBOX! 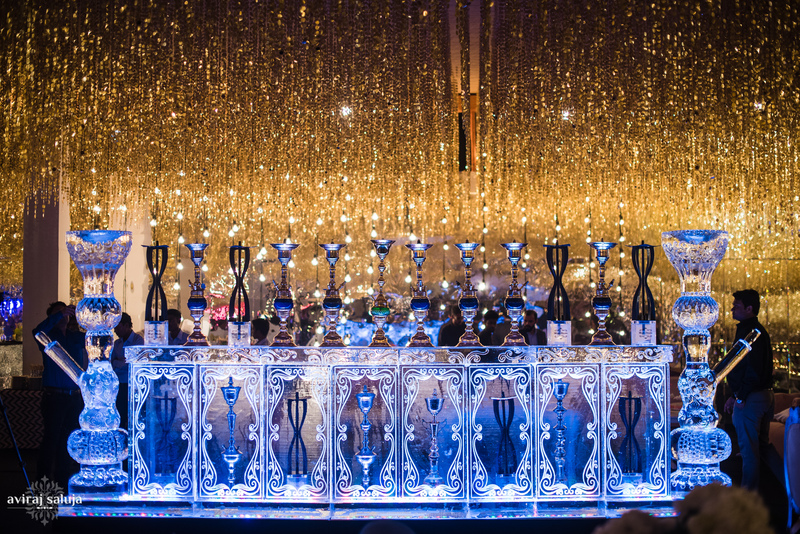 And they also had a Hookah bar! 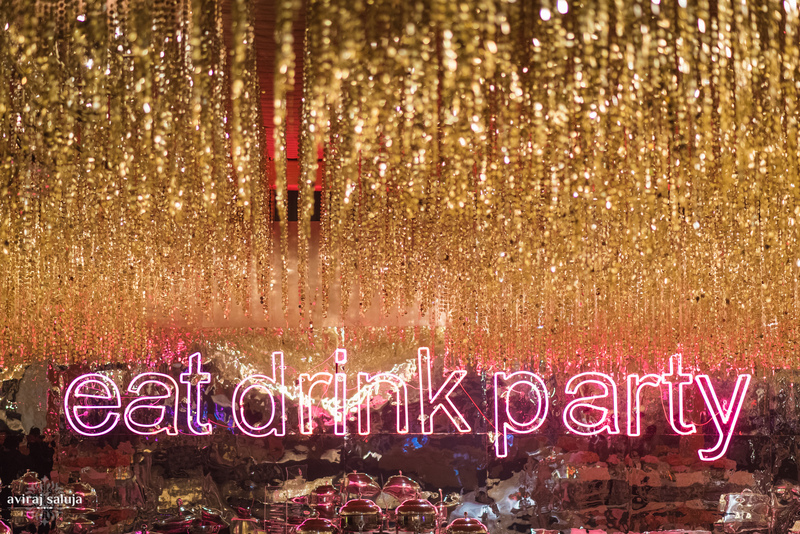 There were light installations in bulbs behind the bar and in the food section which worked as statement pieces. 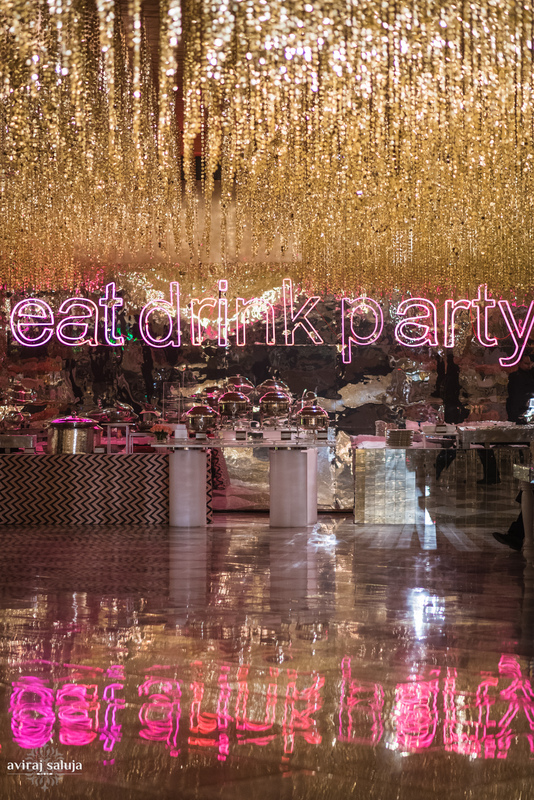 And an Eat Drink Party sign – so apt for a cocktail and sangeet! 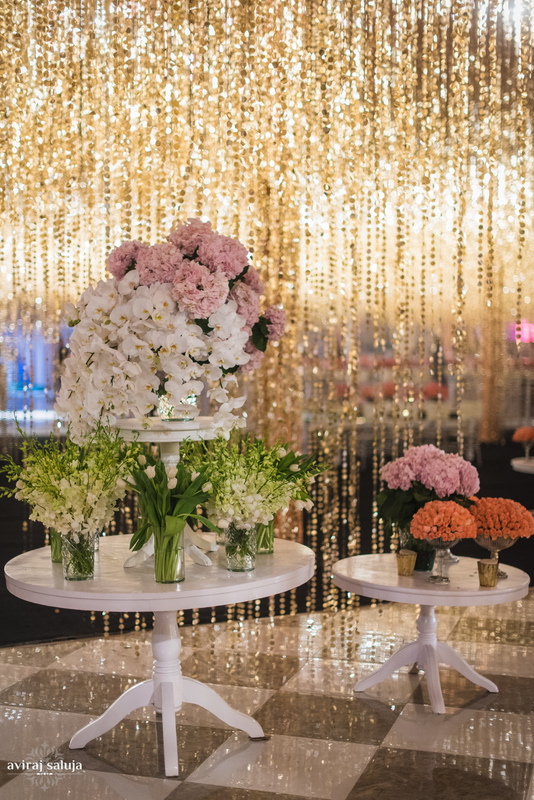 The dinner area was detailed and elegant with beautiful mirror tables that has low flower arrangements in soft pink and blush. 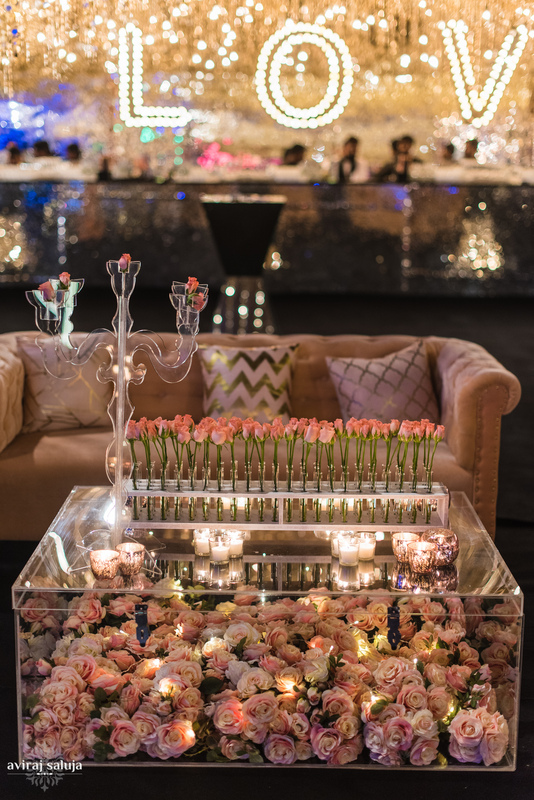 Acrylic chairs with floral chair backs made it look even more glamourous! 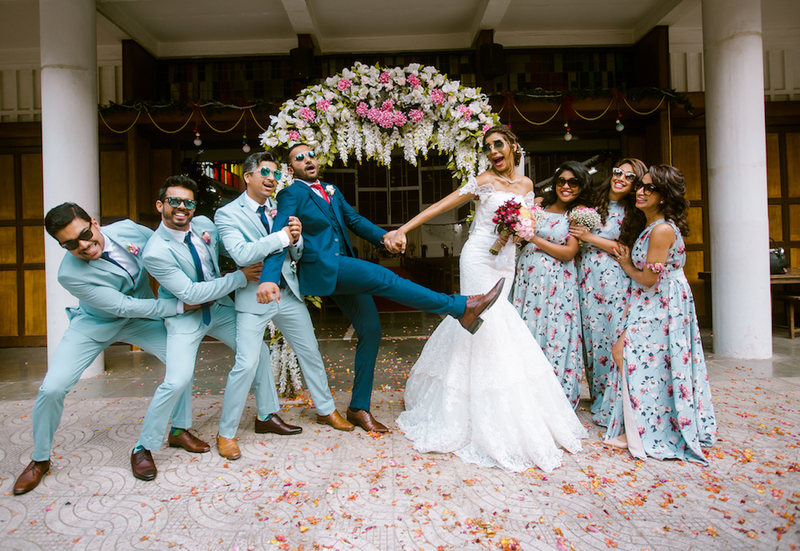 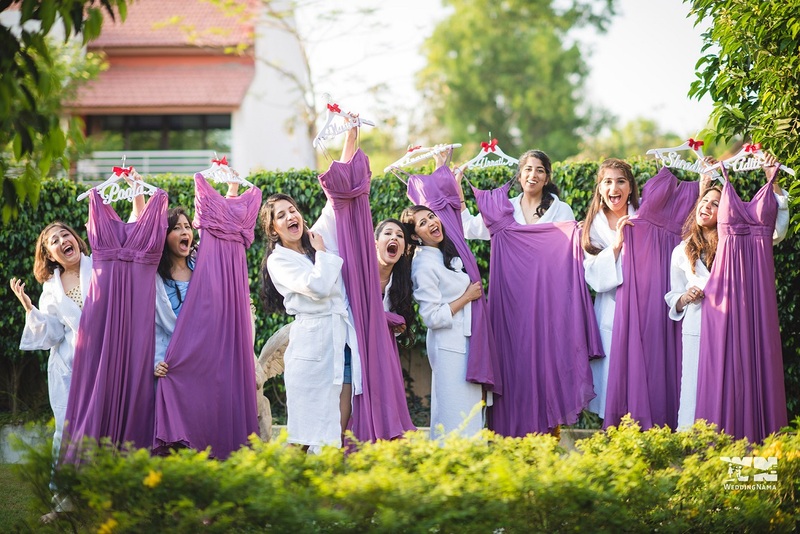 MTV VJ Gaelyn’s Super Fun Bridechilla Wedding! 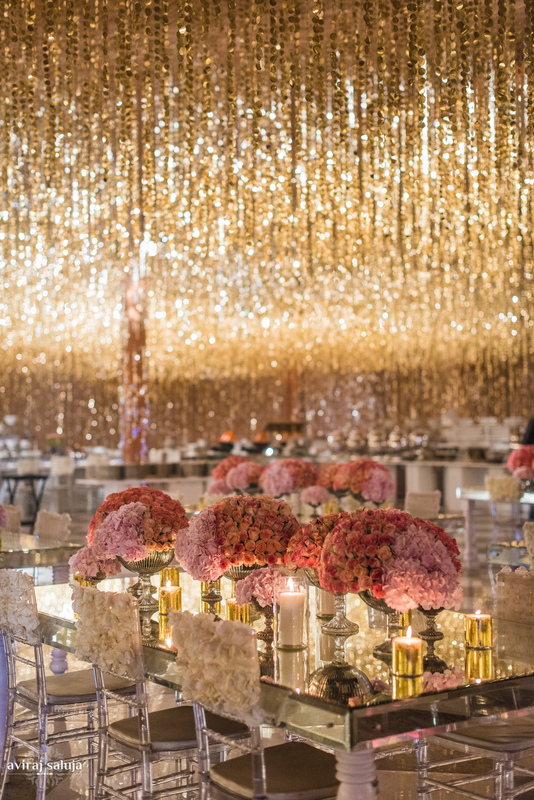 1The Glamorous Cocktail Decor At The Hazoorilal Wedding Has *SO Many* Ideas to Steal!